Kaskade Konnect gives us more than just clever alliteration: the Twitter page took the liberty of passing along big news about the iconic Sun Soaked event in Long Beach. Kaskade’s Sun Soaked 2019 Beach Party will in fact be TWO days this year. The California Dance Music legend will be throwing a two-day event this year, on Saturday, July 13th and Sunday, July 14th with “Kaskade and friends” to soundtrack the experience. Having first debuted Sun Soaked to a mammoth 13,000 sold-out crowd at California’s Long Beach in 2017, Kaskade brought the heat across Long Beach once again last summer 2018 with a full day of banging house music, good vibes, and thousands of fans dancing to the same beat with over 7 hours of Summer beach fun. Nobody was standing still, everyone danced the entire time. It was such a dope visual to see 31,000, yes thirty-one thousand people, all dance to the same groove at last years Sun Soaked 2018 party. Marking that Saturday and Sunday off your calendar now is one good idea- but don’t forget to keep the entire week prior in mind as well. LA’s “Sun Soaked Week” last year was chock full of Kaskade-tastic events, including a pop-up shop and three Redux shows, including an After-After party to his Sun Soaked event at Avalon Hollywood that went a little after 7AM. With the potential for something like that or better, it’s a good time to be a Kaskade fan in California. 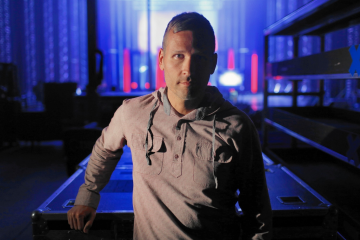 Keep an eye out for official announcements from Kaskade himself within the coming weeks. Favorite Kaskade Songs of ALL TIME! always takes me back to EDC 2009 at the collisium! His remix of Fleetwood Mac’s Dreams gets me every time. Atmosphere and eyes are up there too. Eyes !!!!! Gives me the chills every time. Goosebumps on my skin I love Kaskade with all my being. Nobody Like You-Kaskade! He played it at Life Is Beautiful 2017 and it was the best feeling! Nobody Like You! Gives me all the feeeeels. Favo songs are Atmosphere and Raining!! Disarm you , because it’s more than just beats to the song . It’s the feeling you get every time you hear it . My favorites are Eyes, Disarm You, Fire in Your New Shoes and Say It’s Over! !!! it’s all about the classics !!! 11. All the others I love that I didn’t name just because I love him so much and might hand got tired! my all time favorite Kaskade song is The. Oh man I’ve been listening for a long time but my top 3 songs are…I remember with deadmau5, eyes and move for me! To win these tickets would be a DREAM and a Birthday gift! my birthday is July 14th! THE LIST GOES ON FORRREVERRRR!!!! 4AM has been my favorite song since my first rave in 2007. Every time I hear it I feel that same inexplicable high that one feels at 4 am after a festival. The best possible parts of humanity are on display as you race home before sunrise. 4AM, NEVER SLEEP ALONE, LAST CHANCE, ATMOSPHERE, DISARM YOU, YOUNG AND BEAUTIFUL KASKADE REMIX, COLD AS STONE, US, MISSING YOU, I REMEMBER. Disarm you !!! Just makes me feel so alive !! Disarm you!!! Just makes me feel the best !! Tight / 4am / Fun!!!! Etc. To many i love u Kaskade!!! Im excited , I know i missed 2 years hope to see u this summer and with the rest of the happy people! wait can i really only pick one?? because my list can go on & on, and whenever i’ve seen him i literally say “OH MY GOD I LOVE THIS SONG” but if youre making me pick.. something something. wait no Be still ..!! so many. If i were to pick…. So many to pick from, however if i HAD to… TURN IT DOWN. 4am, I remember, Gone, Angel on my Shoulder, his whole redux ep 002 album is fire!! Love him. My favorite all times are Us, Disarm you, and Last chance! Eyes, disarm you, never sleep alone, nobody like you! Ok lets see… FUN!! (I spent weeks replaying this song) SWEET MEMORIES! COLD AS STONE, PROMISE, DISARM YOU! GONE! PLAY WITH ME, 4 AM! DONT STOP DANCING(the extended mix, I can’t get over that beat.) also, NO ONE KNOWS WHO WE ARE! All of them! I do love Remember though because it reminds me of my high school days! Okay, I absolutely love Kaskade. (those are definitely my top 3) but the list can definitely go on. My all time favorite tracks are: Cold as stone, US, and Atmosphere. 4AM, Game over this is and always will be my FAVORITE KASKADE song of all time. First time I ever heard it was edc in LA. JUST AMAZING. 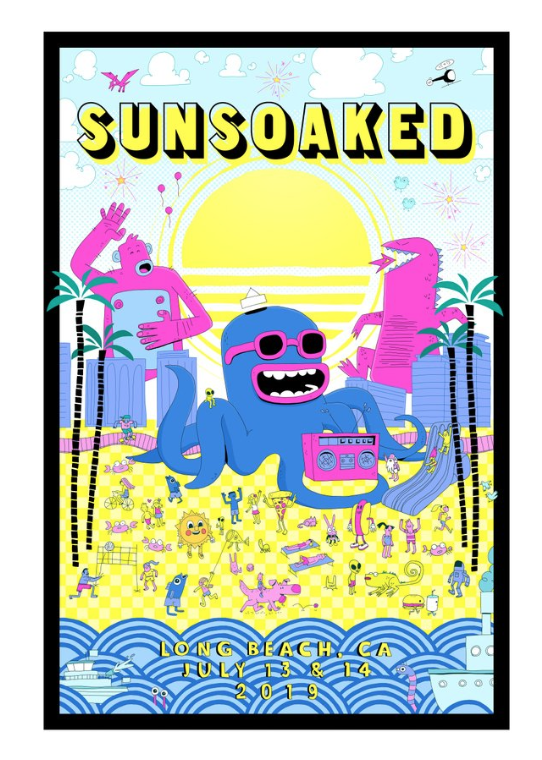 Looking forward to year 3 for sunsoaked. Can not wait! Kaskade is one of my top artists of all time and would be so grateful if I could win these! Disarm you! This song helped me through anxiety and overcome it! It thought me not to be ashame and know that everything will be okay cause theres an army of people that are by my side to surround my heart! There both inspiration to my mind and my everyday life. Hes pulled me out in my darkest times. when do tickets go on sale tho? Best songs ever… Eyes, atmosphere, disarm you, last chance. My all time favorite Kaskade song would have to be 4 am. Atmosphere and Nobody Like You are pretty high up on my list too!! !